The Yanbian Korean Autonomous Prefecture is located in Jilin Province, Northeast China. Bordering North Korea and Russia, it is an autonomous prefecture given its large population of Chinese Korean; Chao Xian Zu (朝鲜族 in Chinese, 조선족 in Korean). 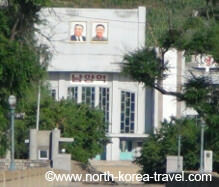 Please note that we usually enter Rason via this prefecture though it is also possible to do so via Pyongyang. The Yanbian Chaoxianzu Autonomous Prefecture is divided into 6 cities and 2 counties. The capital of the prefecture in Yanji. Please see our links below with more details regarding each of these cities and counties. 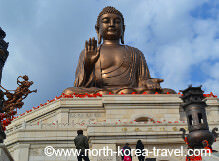 In the late 1800s many Koreans left the Korean Peninsula and settled in this part of China. When Korea became colonised by Japan in 1910 many Koreans also fled for political reasons though the amount was most significant when the People’s Republic of China was formed. 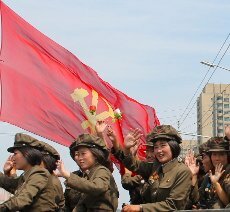 The region was granted the state of Korean Autonomous Region in 1952 and this was upgraded to Korean Autonomous Prefecture in 1955. The percentage of ethnic Koreans varies from city to city in the prefecture. Children can attend Korean language schools or Chinese Mandarin schools regardless of their ethnic background; there are for example Chinese Han children attending Korean schools and ethnic Korean children attending Chinese schools, though the prevalent case tends to be the other way round. 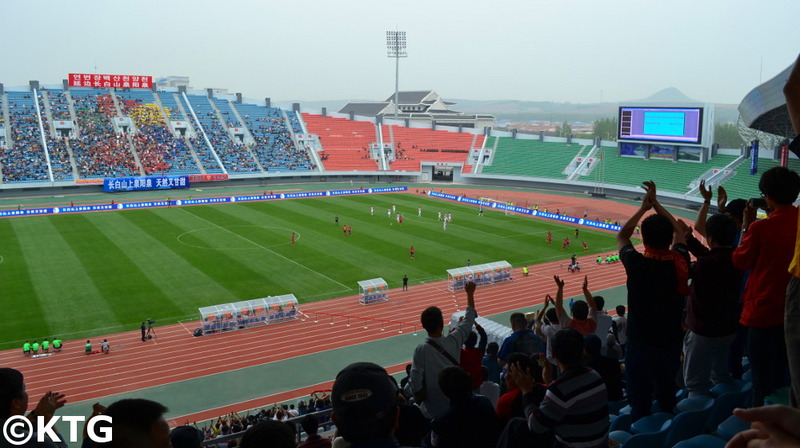 Above: picture taken during a football match between the Yanbian Changbai Tigers and Lu Neng from Tsingdao. Yanbian is known for having had many players play for the Chinese National Team in the past decades. The Changbai Tigers were promoted to the top league of Chinese football in 2015. Above: image of two Chinese children in a small village bordering North Korea. It is fascinating to see the influence of Korean culture in Yanbian and how it mixes in harmoniously with mainstream Chinese culture. Signs in this prefecture are in Chinese and Korean and hearing people speak Korean in the street is absolutely normal. 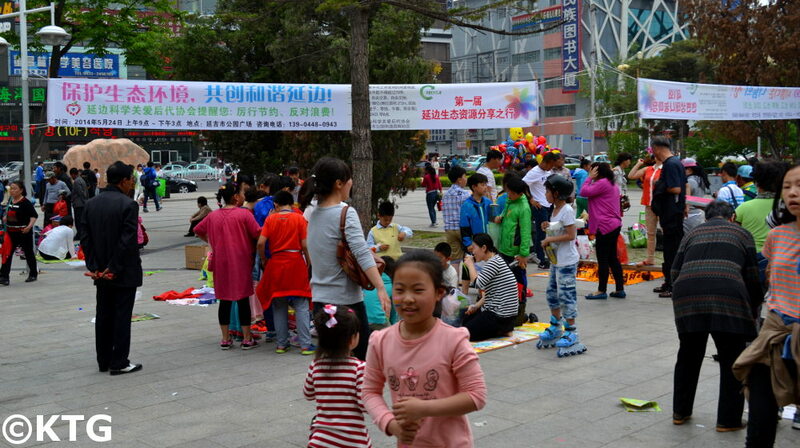 Picture of a jumble sale in People's Park in Yanji. These are held on some weekends in the spring summer and early autumn before the cold winter settles in. It's a popular activity for kids to buy and sell their used goods. There has been an increase of ethnic Korean Chinese going to South Korea to work and this has in turn somewhat influenced life in Yanbian with for example South Korean style coffee shops and a nightlife scene similar to that of South Korea being formed in the past years. Unsurprisingly South Korean pop-culture is very popular amongst the younger generations, not only Chinese Korean but also Chinese Han, and this can be seen in the tv shows they follow, the way they dress and products they use. It is also common for South Korean artists to perform here. There are also many businesses from North and South Korea in Yanbian. Several DPRK restaurants are extremely popular in the region and it is not uncommon to encounter South Koreans setting up their small businesses in this prefecture. Yanji （延吉市 in Chinese，연길시 in Korean）- Capital of the Yanbian Korean Autonomous region. With just over 400,000 inhabitants, it is considered a small city in Chinese terms. 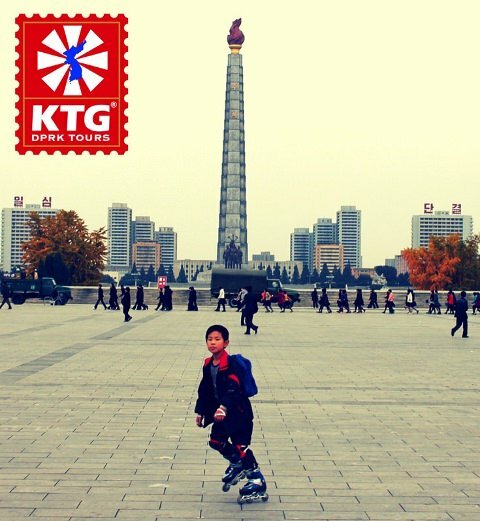 However this city has two universities and an international airport with flights to Seoul and Pyongyang. 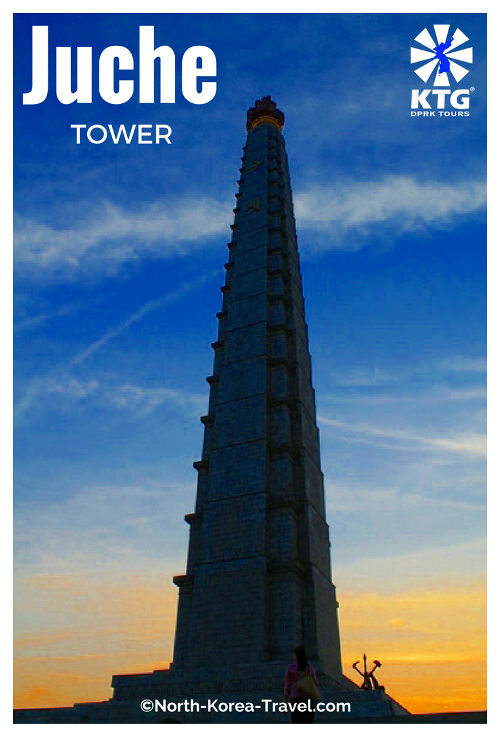 Packed with Korean styled coffee shops, several North and South Korean restaurants and Korean being the mother tongue of a large percentage of the population, it is no surprise that Yanji has been nicked name "West Korea" or "mini-Korea". Tumen （图们市，도문시）- although the city with the lowest population in Yanbian it is fascinating given that it is just across from the DPRK. We can actually cross over this bridge into Namyang (남양) and start our DPRK Rason Tours from there. 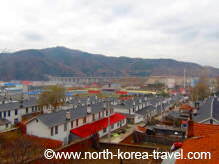 If we drive around 20 minutes away from the city centre it is possible to stay in a traditional Korean village in Tumen which faces North Korea from across the Tumen River. 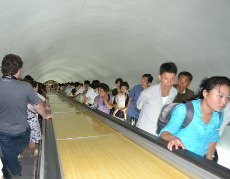 We will be able to see rural life in North Korea from here as well as the local train station without having to enter the DPRK. Hunchun City（珲春市, 혼춘시）- We usually enter Rason from Quan He which is around a 40 minute drive from this city where there is a strong Chinese, Russian and Korean cultural mix. You can head to Fang Chuan from here too, which is where the 3 countries meet. This city is an extremely popular destination for Russians. Dunhua （敦化市，둔화 시）- with a population of over 400,000 it is similar to that of Yanji in terms of size but distinctively different to the capital of the prefecture. 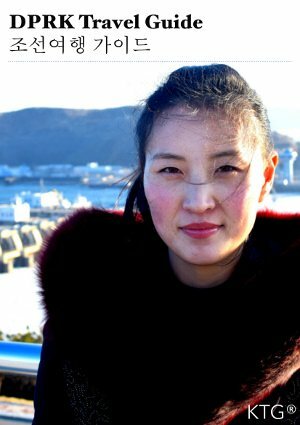 There is though less Korean influence and it is more common to hear people speak in Chinese rather than Korean. Dunhua has a temple, Liu Ding Shan, that hosts a giant buddhist statute which can be seen from miles away. If ever going to Yanji or Tumen you can see this statue from the train. 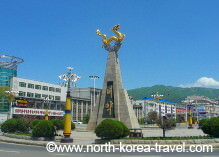 Helong （和龙市，허룽 시）- city of 220,000 inhabitants, it has a large concentration of Korean Chinese. This extremely clean city is surrounded by beautiful green mountains on one side. 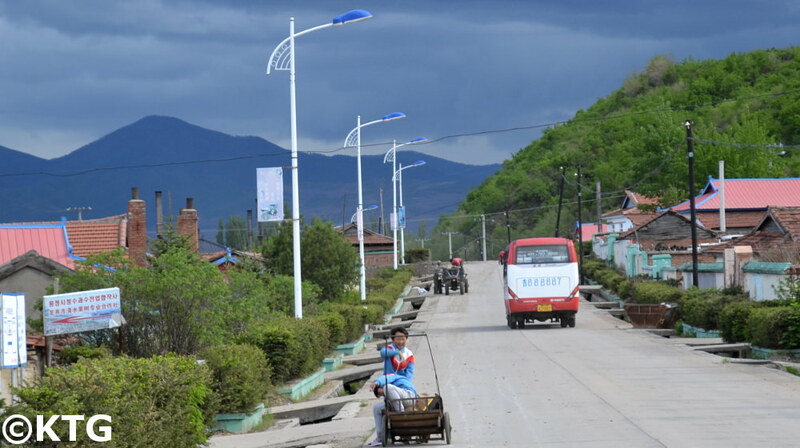 It is relatively close to the DPRK mining city of Musan which can be seen from Nanping. If going to Helong we recommend you to stop by the central square which will be packed with locals playing volleyball, tijian, skating and all kinds of sports and games. The sight of a Westerner is not that common here and you will be more than welcome to join in! Longjing (龙井市，룡정시) - only 20 minutes away from Yanji and around half its size in terms of population but seemingly much smaller, this city has a large percentage of ethnic Korean Chinese citizens. 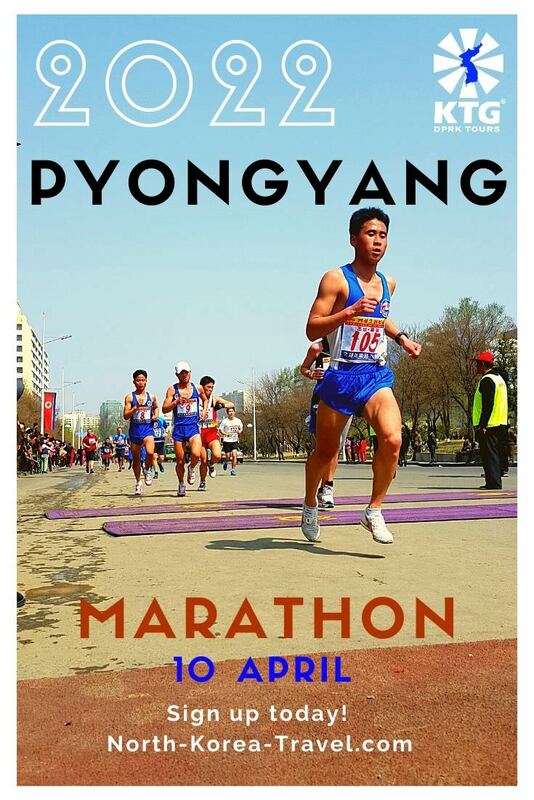 It is relatively close to Hoeryong which is the birthplace of the DPRK National Heroine Kim Jong Suk (wife of Kim Il Sung and mother of Kim Jong Il). Antu （安图县，안도현）- a county in Yanbian it is mainly inhabited by Han Chinese and it is not as common to see ethnic Korean Chinese as in other parts of the prefecture, albeit having all its signs in Korean and Chinese. 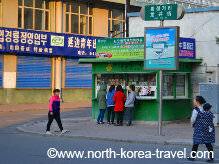 We sometimes make a stop here before heading to the Chinese part of Mount Paekdu. Note: if you notice carefully in the picture you can see the high speed train tracks being built which will make going to this part of China much more convenient by train. 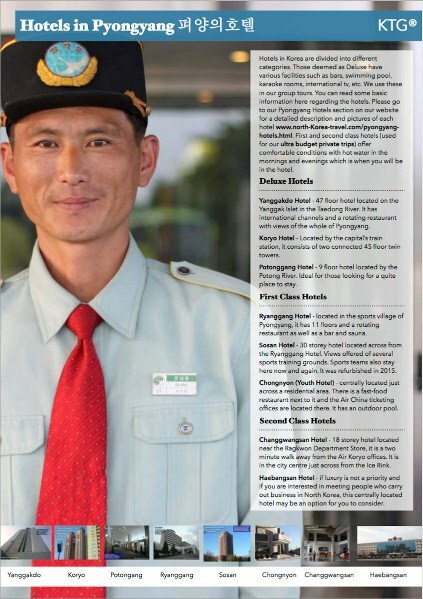 Please click on Dandong page for information on areas close to North Korea that can be visited in China.